Clearwater Beach needs very little help to be interesting. It has been rated the number one beach in America and Florida many times over. It has a fantastic combination of perfect, soft white sand, turquoise waters, attractions, and activities. 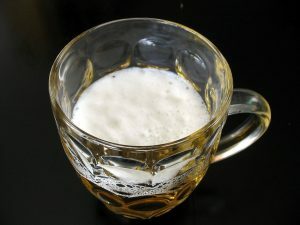 It is ideal for both relaxation or excitement, whichever you are seeking. That doesn’t stop the cities of the region from coming up with even more things to do, however. Here are some of the highlights of activities coming to Clearwater Beach and Tampa Bay for spring, summer, and fall. It’s baseball season. From now through the month of September, you can catch great baseball action with the Clearwater’s Threshers baseball. Spectrum Stadium serves as the venue as top national teams come to play. In Tampa, the Rays hit the diamond at Tropicana Field. If you love baseball outings, or you haven’t been to one yet, give one of these two teams a try. Make your plans now, though, because the games are currently running. The Baddest BBQ on the Bone Fishing Slam & BBQ Festival is coming to the Madeira Beach Rec Center. You must register to participate in the fishing tournament or the BBQ competition. The event happens 5 to 11PM on Thursday and Friday, noon to 11PM on Saturday, Jun. 8, 2017 through Jun. 10, 2017. Do NOT eat before you go. Seafood and delicious carnival and professional food vendor fare will be on site. Enjoy the music, shopping, and eating, and be sure to be there for the fish weigh ins, which are a lot of fun. They catch some really big fish! Summer is good times all around at the beaches. It’s hard to go wrong and all you have to do is arrive. That being said, be sure to check out the 4th of July fireworks along the coastline north and south of Clearwater Beach and across the entire region. Nothing beats watching fireworks on the waterfront. Our personal favorite is the fireworks at Coachman Park in Clearwater. If you can manage to get onto a boat for this event, do it! Fall is one of the best times of the year along our coastline. The air is not quite so hot, for those looking for a break from summer heat, and the crowds are a little milder. Mild that is, until the Super Boat Races arrive. 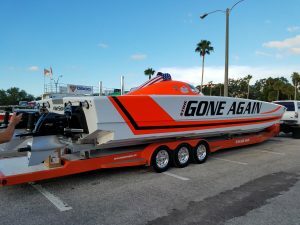 The most powerful racing boats in the world congregate at Clearwater Beach for one of the biggest events of the year. The beach becomes a grandstand for a race that is loud and exciting. Watch the enormous cigar boats zip across the water shooting rooster tails fifty feet in the air as they blast their way across the Gulf of Mexico. Pier 60 provides the best landlubber views but fills up fast. A better way to watch, and have a great time, is to book a ride on one of the tour boats at Clearwater Beach Marina. Eat and drink while you watch the excitement of the Super Boat Races. October rings in the best street events of the year for Clearwater Beach. 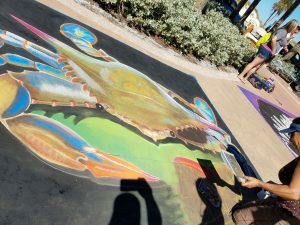 Sharing the same weekend, the Stone Crab Festivals and the Clearwater Beach Chalk Art Festival liven up the streets during the day and brighten them up at night. The event happens the third weekend in October. Rove from one end of the commercial district to the other and you will find something exciting going on. People know it too! You will share the streets with people pumped with the excitement of this weekend. The Stone Crab Festivals are celebrated at various restaurants, setting out tents and closing off streets to celebrate stone crab season with dining, drinks, and live music. On the famous Beach Walk sidewalks of Clearwater Beach, top chalk artists from around the world congregate to create dazzling art on the concrete. Crowds line the walkway from sunup to sundown everyday of the event to admire the amazing talent. This is a weekend you should make plans for. It is one of our best.